It's been an experience for most of the cast of Jet Slade, we setup this page so that if anyone came across this website, we hope there would be something on here that they would be able to refer to and help them to use as reference. Jet Slade is a fictional character written, filmed, edited, produced and directed by Edmahoo. Everthing down to photography, graphics, fight choreography (with the help of his stunt team) and film score is produced by Ed. Here is an inspiring montage of Wag Doll, who plays the lead character Jet. Soundtrack by Bill Conti - Rocky Soundtrack. If you're thinking of taking on a lead action role, that may include lots of fight scenes, we hope this video will gave you an idea of what Wag Doll had to go through and maybe help aid you on your journey. A lot of the strength training was devised to get her ligaments and joints strong and use to the stresses of the fight scenes, as she would be fighting men and throwing them around. She had to be fit enough to repeat takes as safety for the cast was the highest priority. Director Ed, wanted the character Jet to look fit and strong and believeable on screen, but not lose her female qualities, so careful planning on how we would handle Wag Doll's diet and training was important. 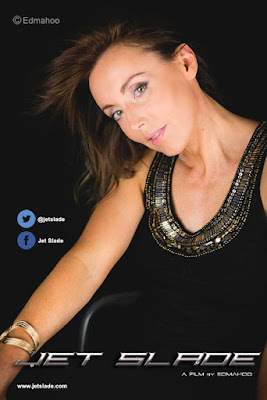 We hope this post has given you an insight into our character Jet. 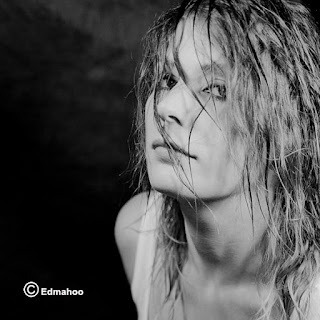 Ewa stars as Nat in our film Jet Slade. of which she has suitably named: Eva's Kitchen. 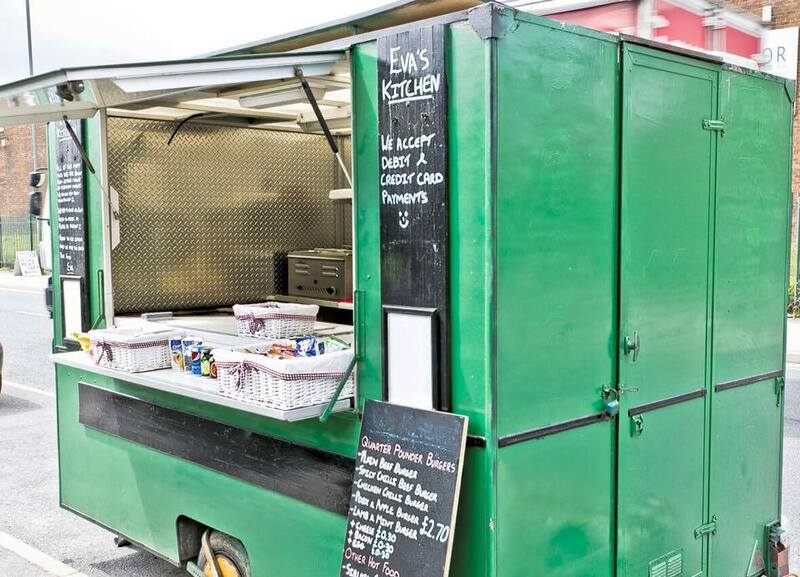 Eva's Kitchen is my mobile catering unit based on Cross Green Industrial Estate from Monday to Friday, 7am to 2pm. Being mobile, I am also available for events and private functions at weekends. Business and office meetings are also catered for. Please have a look at the menu and drop me a line if you wish to make an enquiry. guaranteeing that everything meets my high standards. Customers can buy a variety of freshly prepared hot & cold sandwiches including sirloin steak, pulled pork & curried pork sandwiches. I also offer a variety of beef, pork and lamb burgers, several home baked cakes and a selection of snacks and drinks. 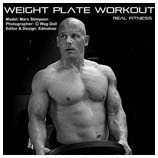 Please have a look at the menu tab on this page for a more comprehensive list of what I offer. All the meat and vegetables I use are sourced from local markets and are purchased on a daily basis to ensure they are as fresh as possible. 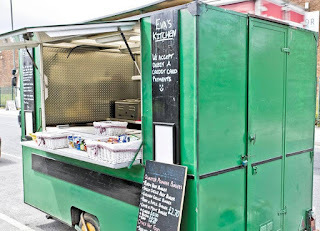 My catering unit is kept in immaculate condition and far from being a 'burger van', it is decorated to give a quaint, country feel and would look the part at any event of private function. Thank you for taking the time to look at my page and should you wish to contact me, please do so via the business email address, this Facebook page, or by the business mobile number. 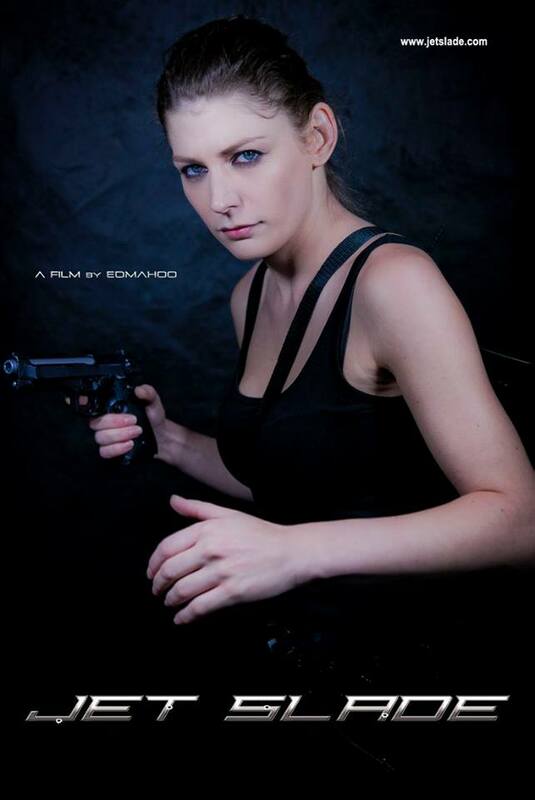 Wag Doll plays the lead character in our film Jet Slade. She runs a successful Blog 'Wag Doll' and is not far off from reaching out to one million visitors. 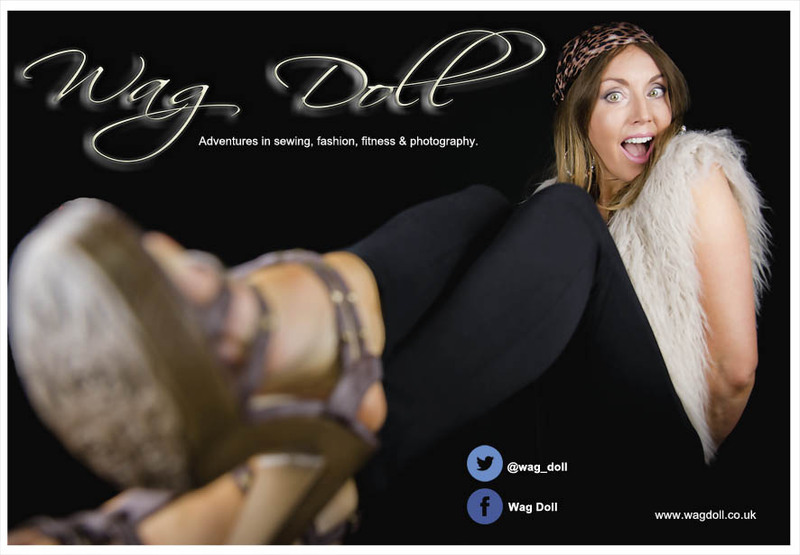 She has just setup a Wag Doll Facebook page, of which we know will do very well. We wish her all the best and don't forget to visit and 'LIKE' her Facebook page. SET DESIGN MAGAZINE's Arts & Entertainment section. Fitness, Recipes, Sewing & Crafts Tutorials & many other topics. You can find her on Twitter, Pinterest, Instagram & Facebook. Wag Doll trained very hard for her character, having no Martial Arts or Fighting experience. she trained for and had to perform.